Madison Bumgarner retired the first 21 Colorado batters and 27 of 28, allowing a single hit while striking out 13 and walking none, finishing a 3-0 masterpiece in San Francisco. Matt Shoemaker threw 7 shutout innings, allowing only 2 hits and 2 walks and pitched the Angels back into first place by themselves with a 8-2 victory against the Marlins. Buster Posey homered twice, driving in all three of the Giants runs in their 3-0 defeat of the Rockies. They owned baseball on Aug 26, 2014. Giancarlo Stanton got on base 3 times including a critical 3 run homer as the Marlins continued to climb into the Wild Card race and beat the first place Angels, 7-1. Clay Buchholz pitched shutout ball into the 9th inning. He was undone by a softly hit ball into the infield and a blown save by the bullpen. But the Red Sox would ultimately win in Toronto, 4-3 after 10 innings. Delmon Young got on base 4 times with a walk, a single, a double and a homer, driving in 3 and leading a potent Orioles attack to a 9-1 drubbing of the Rays. They owned baseball on Aug 25, 2014. 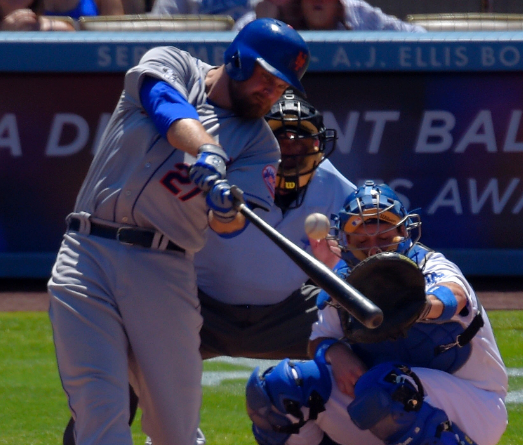 Lucas Duda went 3-5 with 2 homers and drove in 5 runs, helping the Mets clobber the Dodgers, 11-3. Victor Martinez collected 3 hits including a homer and drove in 4 as the Tigers rolled 13-4 in Minnesota. Tsuyoshi Wada threw a no hitter into the 7th and finished allowing 1 hit (a solo homer) and 8 strikeouts against 1 walk, earning the 2-1 win over Baltimore and finishing a sweep for the Cubs. Chris Archer threw 7 strong innings, allowing 1 run and 6 hits, setting up Tampa Bay’s 2-1 victory in Toronto. They owned baseball on Aug 24, 2014. 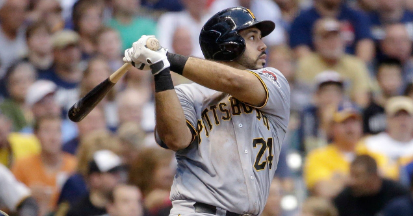 Pedro Alvarez clubbed a pair of homers, driving in 4, leading the Pirates to a 10-2 win in Milwaukee. Joe Mauer reached base 4 times, drove in 3 runs and scored a pair helping the Twins rout the Tigers 12-4. Mike Leake pitched shutout ball into the 7th inning, allowing 2 hits and striking out 6, getting the 1-0 decision over the Braves. Jeremy Guthrie pitched 8 strong innings, allowing 5 hits and 1 run as first place Kansas Ciy defeated Texas 6-3. They owned baseball on Aug 23, 2014. 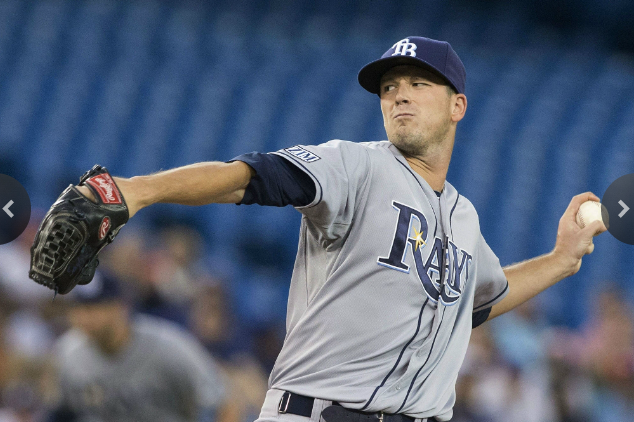 Drew Smyly threw a complete game 2 hit shutout, walking none as the Rays blanked the Blue Jays, 8-0. Mike Minor threw a no hitter until he had 2 outs in the 8th inning. He allowed a single that tied the game. He got no decision for his 7 2/3 innings of 1 hit, 4 walk pitching but the Braves beat the Reds in 12 innings, 3-1. Eduardo Escobar led a wild Twins offense by going 5-6, tripling, homering, scoring 3 and driving in 2 as Minnesota crushed the Tigers 20-6. Josh Harrison went 3-5, clubbed a go ahead double, homered and drive in 5 runs as the Pirates won against the first place Brewers, 8-3. They owned baseball on Aug 22, 2014. 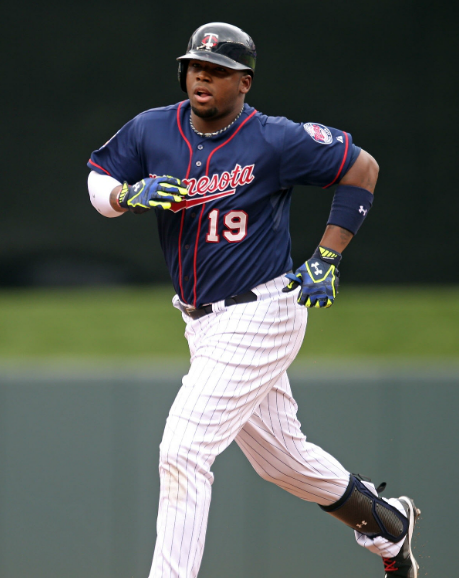 Kennys Vargas went 3-4 with a double, a homer, an RBI and a pair of runs scored, helping Minnesota top Cleveland, 4-1. Buster Posey reached base 5 times including a homer and a pair of doubles, helping the Giants come from behind and beat the Cubs, 5-3. Brandon McCarthy threw a complete game 4 hit shutout, striking out 8 and walking none, helping the Yankees avoid a sweep by Houston, 3-0. Clayton Kershaw threw no hit ball into the 6th and finished with 8 masterful 3 hit, 1 run innings, striking out 10 Padres and earning the 2-1 victory for the Dodgers. They owned baseball on Aug 21, 2014. 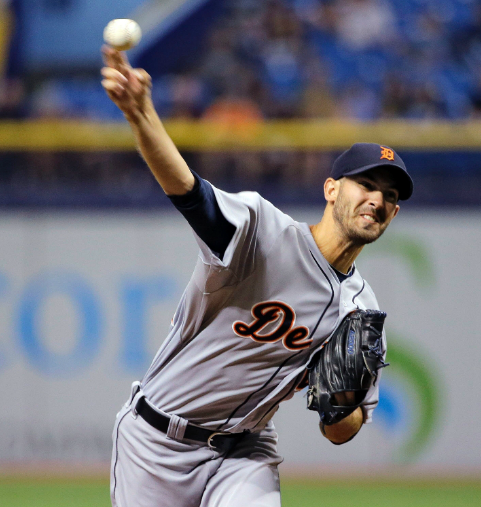 Rick Porcello threw a complete game, 3 hit shutout, striking out 4 while walking no Tampa Bay batter as the Tigers rolled, 6-0. Jorge De La Rosa pitched 8 strong innings in Coors Field, allowing 5 hits and 2 runs as the Rockies stopped the Royals 5-2. Adam Jones went 3-4, scored the tying run and later homered as the Orioles came from behind to top the White Sox, 4-3. Lucas Duda reached base 3 times, including a homer and drove in 3 runs as the Mets won 8-5 in Oakland. They owned baseball on Aug 20, 2014. 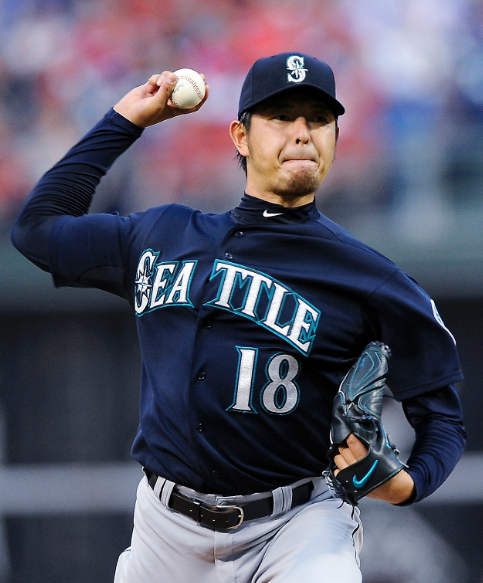 Hisashi Iwakuma pitched 8 shutout innings, striking out 11 Phillies while walking none and earning the 5-2 decision for Seattle. Stephen Strasburg allowed a homer in the first innings and settled down to let up just 2 more hits and one walk while striking out 9 Arizona batters as Washington rolled, 8-1. 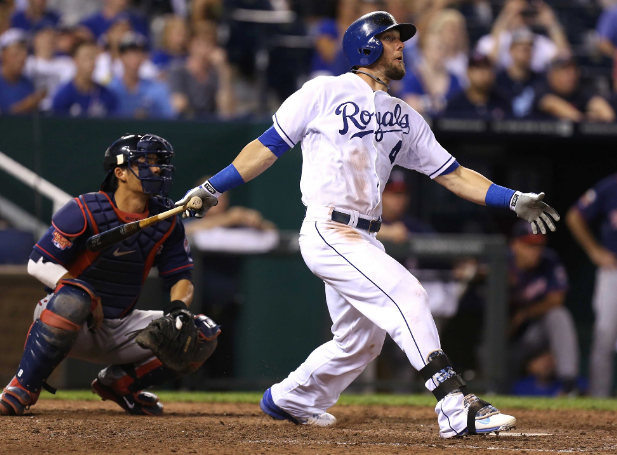 Omar Infante collected 4 hits including 3 doubles and drove in 4 runs, helping the Royals continue their winning ways, 7-4 in Colorado. Carl Crawford got on base 4 times, including a homer, stole a base, scored 3 and drove in 3, helping the Dodgers come from behind against San Diego, 8-6. They owned baseball on Aug 19, 2014. 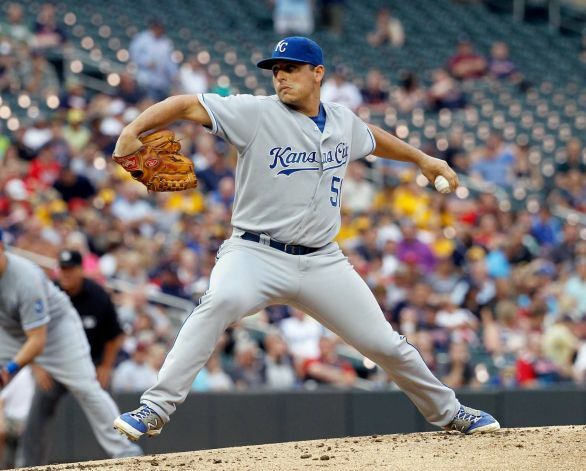 Jason Vargas threw 7 innings, allowing just 4 hits and 1 walks and 1 run, helping the Royals pad their first place lead by beating Minnesota, 6-4. Nick Markakis went 3-5 with a homer and 2 RBI, helping the first place Orioles top the White Sox, 8-2. 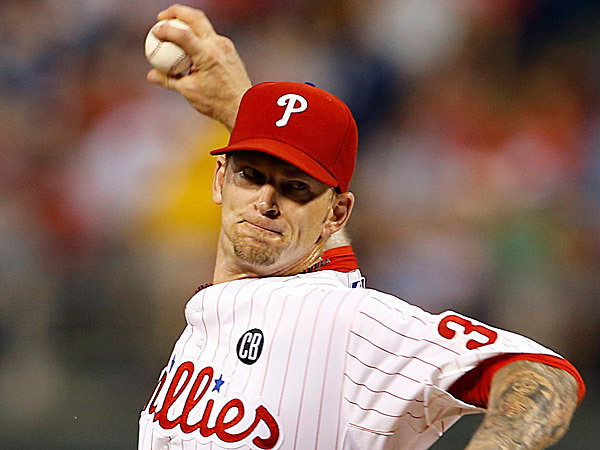 Jerome Williams pitched 7 strong innings, allowing just 3 hits and 1 run in the Phillies 4-1 victory over Seattle. Jason Heyward went 3-4 with a homer and 2 RBI, helping the Braves top the Pirates, 7-3. They owned baseball on Aug 18, 2014. Michael Cuddyer hit for the cycle, going 4-5 with 3 runs scored and 3 RBI in the Rockies 10-5 win over the Reds. 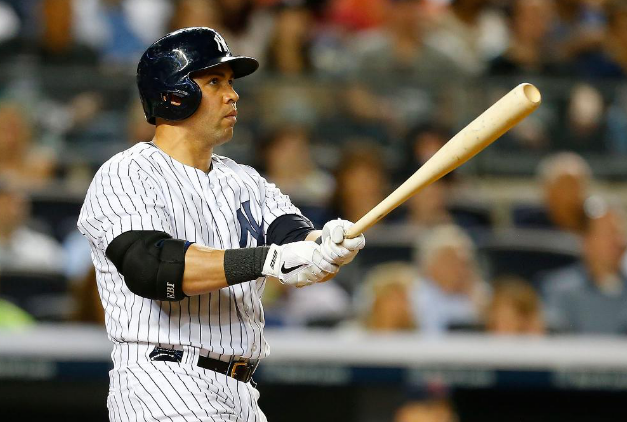 He also got a hit and a run scored in the first game of the double header, which the Rockies walked off 10-9 winners. Jose Altuve went 4-5 with a grand slam as the Astros thrashed the Red Sox, 8-1. Jake Arrieta threw 7 shutout innings, allowing 2 hits and 9 strikeouts. He would not get the decision but the Cubs would top the Mets, 2-1. Nick Tepesch threw 7 strong innings against a red hot Angels team, letting up just 2 runs. He didn’t get the decision but the Rangers took it walk off style 3-2. They owned baseball on Aug 17, 2014. 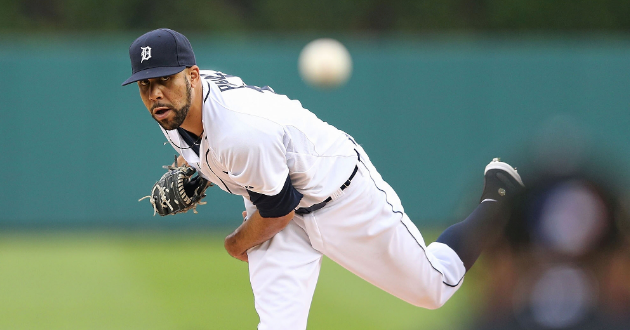 David Price won his home Detroit debut with 8 innings of 3 hit, 1 run ball, earning the decision over King Felix and the Mariners, 4-2. David Ortiz doubled and hit a pair of homers (including career shot number 400 with Boston) and drove in 6 runs, leading the Red Sox to a 10-7 victory over Houston. Yovani Gallardo came out on top in a pitchers duel for the Brewers, going 8 innings and allowing 1 run to top the Brewers 3-2. Michael Morse got on base 4 times including two doubles and a triple, scoring once and driving in another in the Giants dramatic 6-5 come from behind win over the Phillies. They owned baseball on Aug 16, 2014. 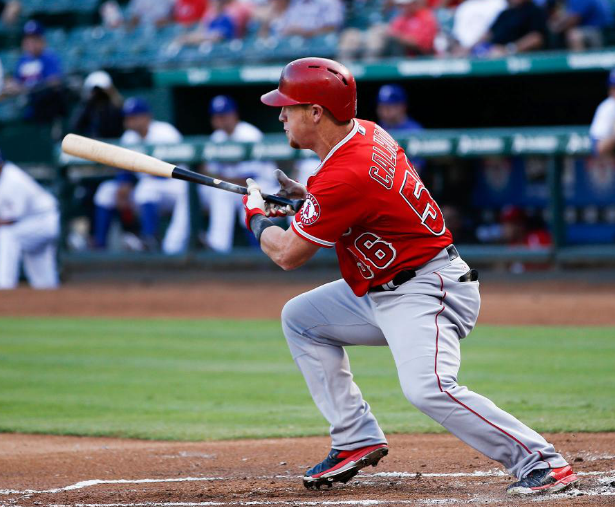 Kole Calhoun inched the Angels closer to first place by going 3-4 with a single, a double and a homer, driving in 3 to win 5-4 in Texas. Cody Asche got a pair of hits including a game tying 8th inning homer that set up the Phillies 5-3 defeat of the Giants in 10 innings. Corey Kluber pitched into the 8th innings, finishing with 7 2/3 frames, 1 run, 10 strikeouts and 2 walks. The bullpen would blow his lead but the Indians would beat Baltimore, 2-1. Johnny Cueto pitched 8 innings, allowing just 2 runs in Coors Field, earning the 3-2 victory for the Reds over Colorado. They owned baseball on Aug 15, 2014. 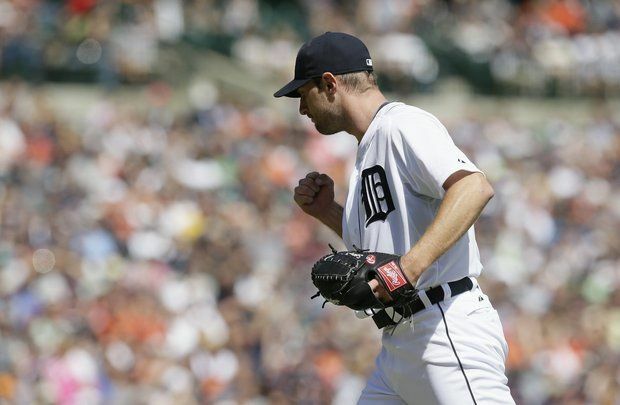 Max Scherzer threw 8 shutout innings, letting up just 3 hits and struck out 14 Pirates en route to a 5-2 Detroit victory. Dustin Pedroia went 3-5 with a double, 2 runs scored and 2 runs batted in as the Red Sox came from behind to beat the Astros, 9-4. Stephen Strasburg pitched 7 strong innings, allowing one unearned run, striking out 8 Met batters and earning the 4-1 decision for the Nationals. Adeiny Hechavarria hit an RBI triple in the 6th and a game tying RBI single with 2 outs in the bottom of the 9th, setting up Miami’s dramatic 5-4 walk off win against Arizona. They owned baseball on Aug 14, 2014. 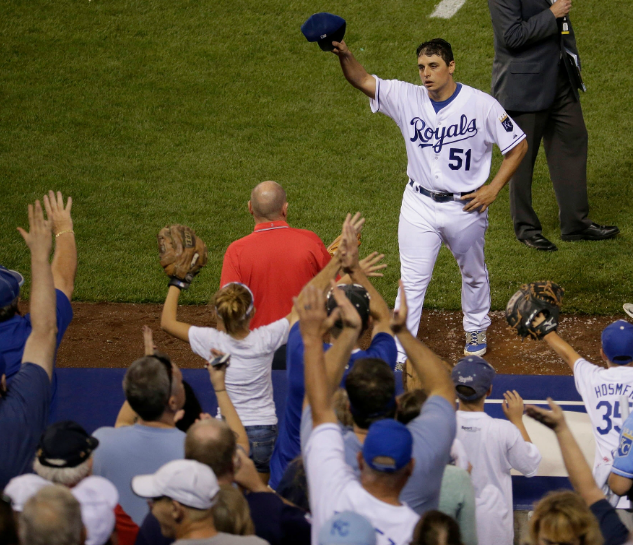 Jason Vargas kept the Royals in first place with a complete game, 3 hit, no walk shutout of the A’s, 3-0. Kendrys Morales reached base 3 times and his first inning 2 run homer provided all the offense in Seattle’s 2-0 win over Toronto. Justin Masterson pitched 7 shutout innings, letting up 3 hits and no walks, earning the 5-2 decision for the Cardinals in Miami. Jedd Gyorko went 4-4 with a pair of doubles and a run scored as the Padres continued their winning ways, 5-3 over Colorado. They owned baseball on Aug 13, 2014. 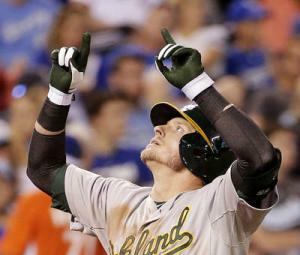 Josh Donaldson kick started a dormant A’s offense by getting 3 hits including 2 homers, driving in 4 and scoring 3, crushing Kansas City 11-3. Chris Sale threw 8 dominating 4 hit shutout innings, walking just 2 and striking out 12. The White Sox bullpen blew the lead but came back to beat the Giants, 3-2. 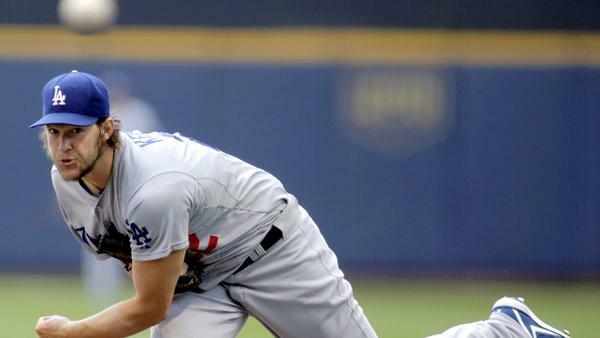 Carl Crawford got on base 4 times including a double and scored, helping the Dodgers top the Braves 4-2. Jarred Cosart pitched 7 shutout innings against the Cardinals and earned the 3-0 win in Miami. They owned baseball on Aug 12, 2014. 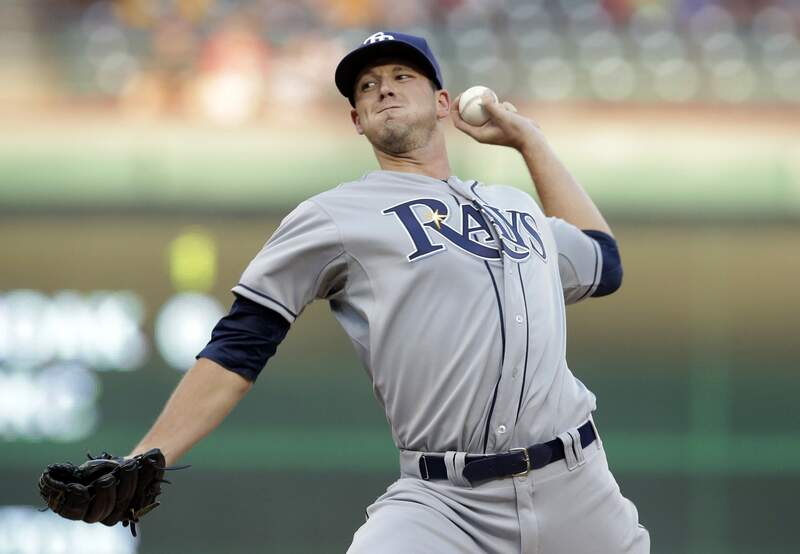 Drew Smyly pitched 7 2/3 shutout innings, allowing just 3 hits and struck out 9, earning the 7-0 Rays win in Texas. Robinson Cano homered, doubled, walked, scored a pair and drove in 2 as the Mariners demolished Toronto, 11-1. Yovani Gallardo threw 7 strong innings, letting up a single run, 6 hits and no walks, and got the 3-1 decision for the Brewers over the Cubs. Travis Snider homered twice and doubled, scoring 3 runs while driving in 4 as the Pirates took an 11-6 slugfest against the Tigers. They owned baseball on Aug 11, 2014. Clayton Kershaw pitched 8 brilliant innings allowing just 1 run, got a hit, drove in a run, scored a run and saved another run with a remarkable defensive play, doing it all in the Dodgers 5-1 victory in Milwaukee. Phil Hughes pitched 7 strong innings, allowing just 1 run and striking out 7, leading the Twins to a 6-1 win in Oakland. Chase Utley reached base 4 times with a triple and a homer helping the Phillies erase a 6-1 deficit and top the Mets, 7-6. Melky Cabrera got on base 8 times, driving in a run in the Blue Jays 6-5 19 inning marathon triumph over the Tigers. They owned baseball on Aug 10, 2014. 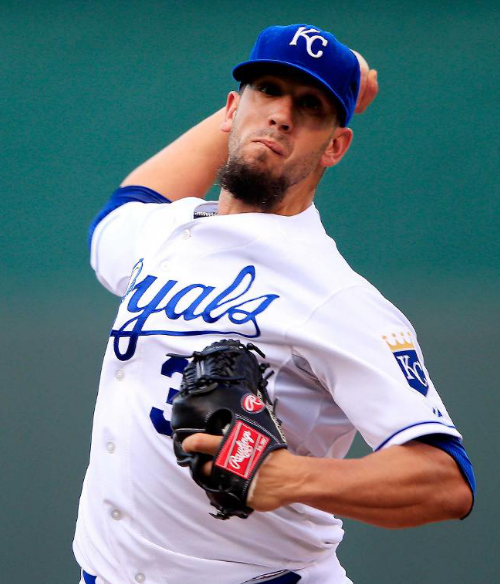 James Shields threw a complete game 4 hit shutout of the Giants, earning the 5-0 decision and helping the Royals inch closer to first place. Mike Trout reached base 4 times in the 19 inning marathon game, including a game tying homer in the 8th inning, helping the Angels survive 5-4. Mike Fiers pitched 8 dominating innings, letting up just 3 hits and 1 run, while beating the Dodgers, 4-1 in Milwaukee. David Peralta doubled and crushed a grand slam, leading a dynamic attack as the Diamondbacks blew out the Rockies 14-4. They owned baseball on Aug 09, 2014. 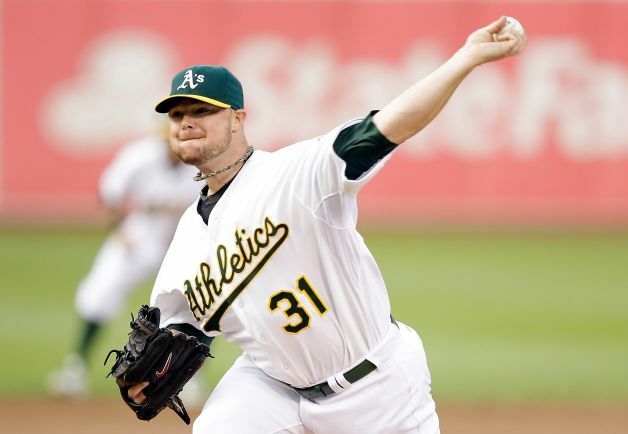 Jon Lester threw a complete game 3 hit shutout, striking out 8 Twins batters along the way for the 3-0 victory in Oakland. Edinson Volquez pitched no hit ball into the 5th and finished with 7 shutout 1 hit innings, earning the 7-2 decision for the Pirates over the Marlins. Dustin Ackley reached base 3 times, homered and drove in 4 runs as the Mariners thrashed the White Sox, 13-3. Javier Baez continued to dazzle in his big league introduction. He went 3-4 with a pair of homers and 4 RBI in the Cubs 6-2 win in Colorado. They owned baseball on Aug 07, 2014. 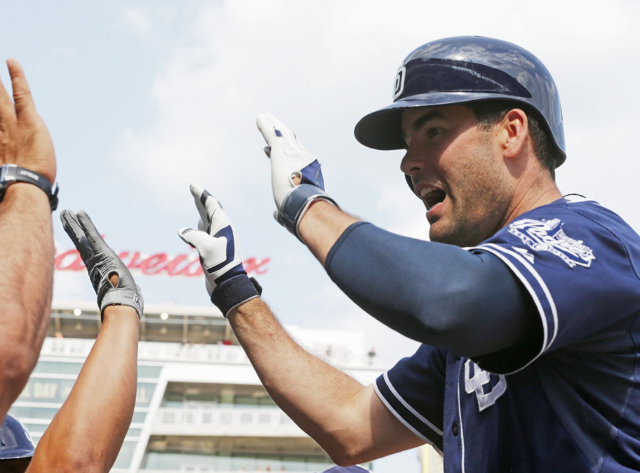 Seth Smith got on base 3 times including a double and a go ahead 10th inning home run that proved to be the game winner, leading the Padres to a 5-4 win in Minnesota. Dan Haren retired the first 16 hitters he faced. He pitched into the 8th inning and finished with 7 1/3 innings of 3 hit, 1 run ball, earning the 2-1 decision for the Dodgers over the Angels. Jose Bautista singled, doubled and homered, giving the Blue Jays a critical 5-1 victory over Baltimore. Drew Hutchison came within one out of a complete game, allowing one hit on a solo homer, striking out 8 and walking 1 as he dominated Baltimore 5-1 in Toronto. They owned baseball on Aug 06, 2014.